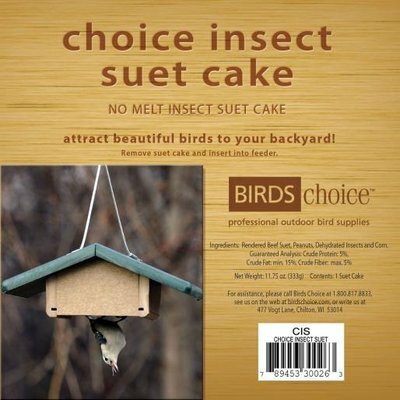 Combining insects and peanuts is a sure to win formula for birds! Combining insects and peanuts is a sure to win formula for birds! They love both and won’t be able to get enough of this suet cake. The no melt dough is also great for warmer climates.